From riddles, clerihews, and rhyming couplets, to fairytales, Christmas angels, and magnesium… With poems to curl up with, poems for bedtime, and poems just crying out for audience participation, Blast Off! is a cheeky, curious, and lyrical collection for children. Cathy Benson’s playful illustrations bring Blast Off! to life for younger readers, whilst for slightly older readers, there are familiar fairytales that pose troubling perspectives, and a gentle, yet haunting articulation of the adult world: I see them, hundreds of them in boats / like the one we went fishing on, / their faces like my kid brother’s / the day he fell into the pond (‘Six O’Clock News’). Blast off on an exciting journey into space, the past, fairytales with a difference, under your bed, and, above all, into the imagination. 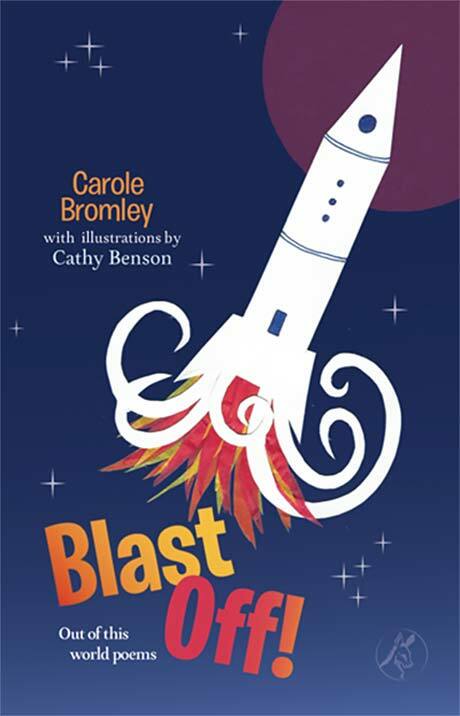 From a new imprint of Smith/Doorstop for children’s poetry, Small Donkey, Blast off is by newcomer Carole Bromley. 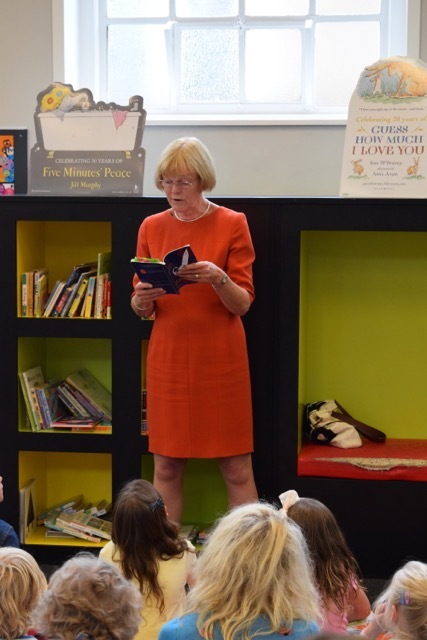 It is illustrated by the detailed and charming ink drawings of Cathy Benson, who illustrated most of the children’s poetry published by the late Gerard Benson. There’s a poem for every mood in this book – warm, funny, exploring many of the concerns pertaining to primary children: it feels like a hug. Blast Off! is illustrated by the detailed and charming ink drawings of Cathy Benson, who illustrated most of the children’s poetry published by the late Gerard Benson. Suitable for younger readers round the fire with mum and dad or for older primary readers on their own. There is an alien in a wardrobe and a rocket that rescues the writer from maths homework. There is also a piece of chalk which comes alive after school, a family of geeks, a naughty adventure with a pair of scissors (who hasn’t secretly wanted to cut their counterpane and then their hair – or even done it?) and a bug hunt which includes my favourite line ‘a spider lying in wait on a tense thread’. Reworked nursery rhymes and fairy tales complete a satisfying collection.